We’re going to Asia to meet today’s reptile! 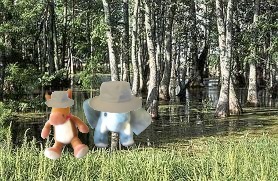 We’ll be going in the woods, so step carefully because these guys know how to camouflage in with the leaves! MEET THE ASIAN LEAF TURTLE! Asian leaf turtles have an oval shape carapace (top shell). Their plastron (bottom shell) is hinged. 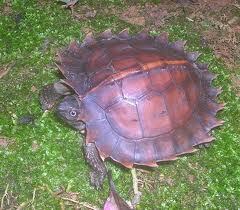 Asian leaf turtles hide in the mud in creeks and rivers when threatened. Male Asian leaf turtles are smaller than the females. 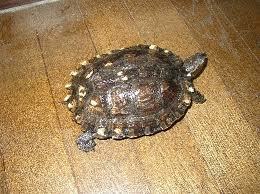 Asian leaf turtles have serrated shells that help them blend in. Asian leaf turtles are cute! There are so many kinds of turtles out there! We love each and every one of them!